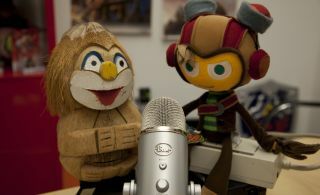 This week we'll be joined by two very special guests: Tim Schafer and Greg Rice from Double Fine Productions. We'll be talking with them for the first half of the show about the recently announced Psychonauts 2, and you'll have a chance to jump into Twitch chat and ask them questions as well. After that, we'll be discussing the hotly anticipated sequel, doing a quick recap of what has been a very busy week in PC gaming and, of course, taking your general PC gaming questions from Twitch chat.